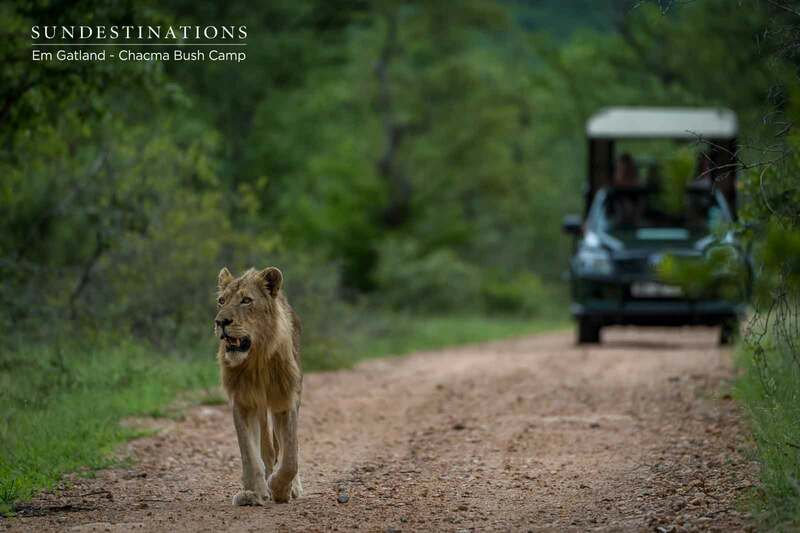 Before we plunge head first into the tremendous story of how 18 lions killed a waterbuck right outside Chacma Bush Camp – and how it subsequently led to abundant lion cub sightings in camp – we’re going to give you a brief synopsis about this local pride. 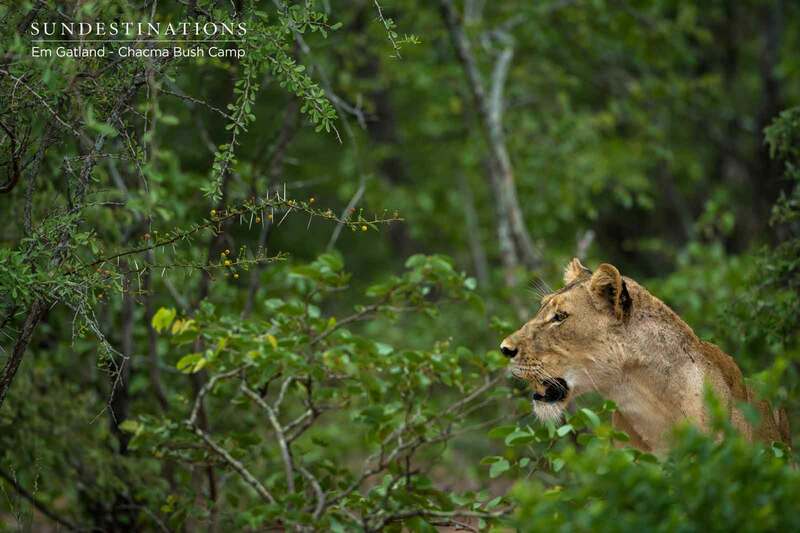 In total there are 18 lions spotted on the traverse, as well as the Maseke males that cruise onto the scene to patrol turf and mate with females. 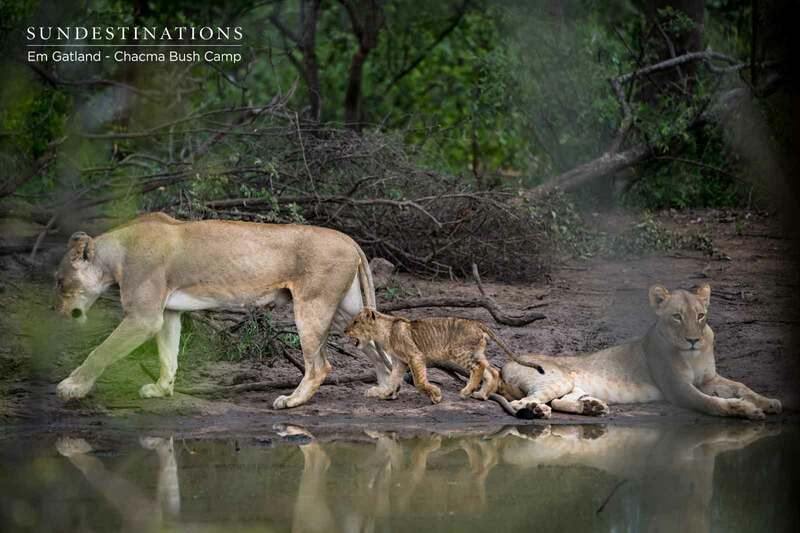 Of the 18 lions, there are 3 sub-adult lionesses, 3 adult lionesses and 12 cubs. At this stage their ID is more speculation than confirmation. 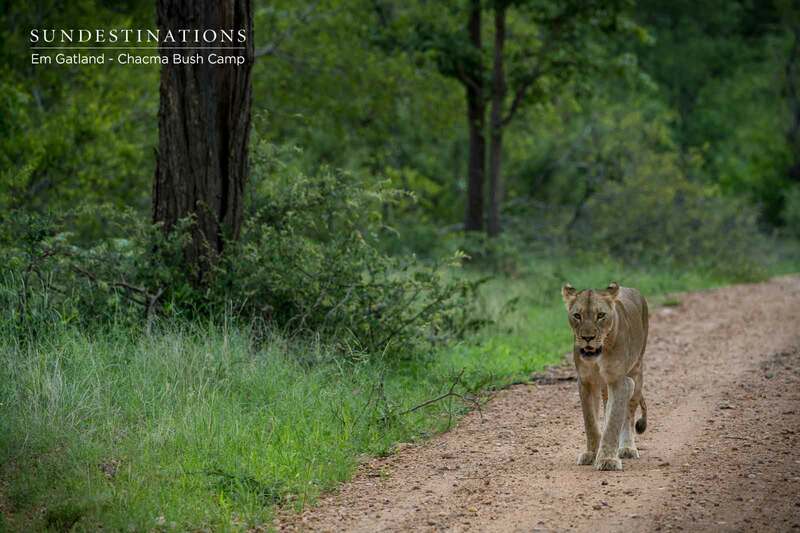 We believe that the lionesses are the Lamai sisters or related females. 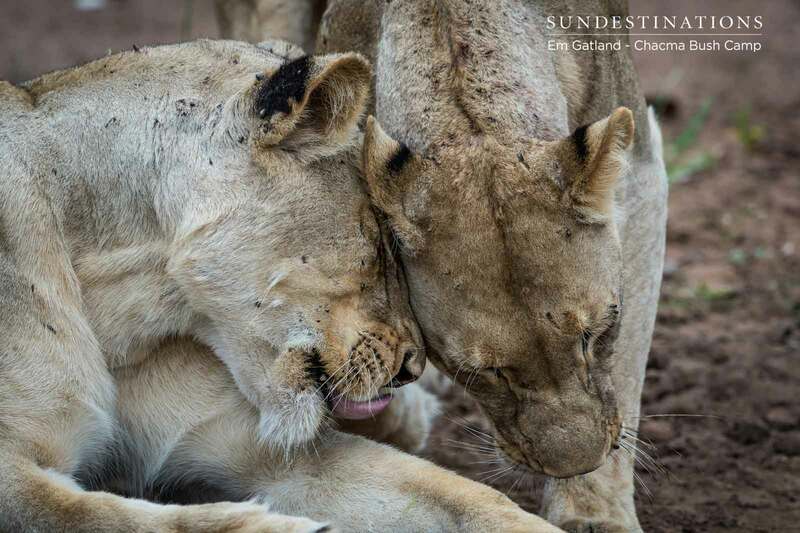 The 12 cubs are the “products” of the Lamai sisters, more than likely sired by the Maseke males. 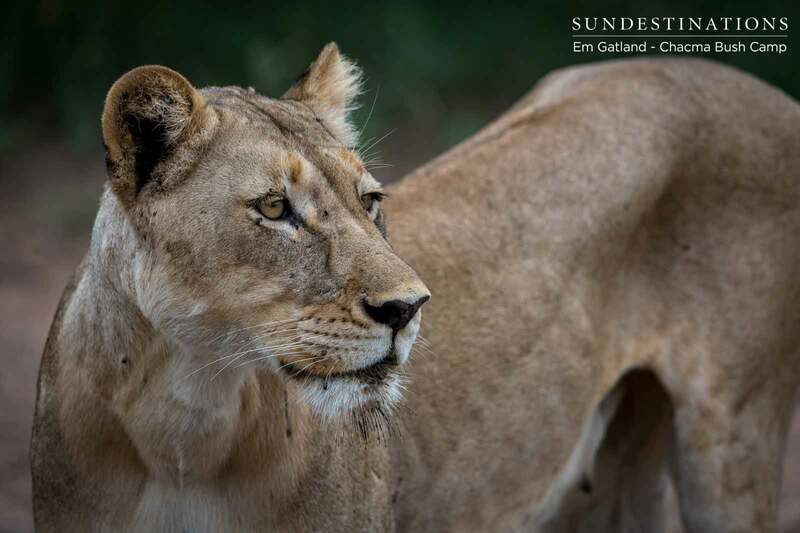 It appears that the prides all joined forces for a huge family dinner of waterbuck on Sunday night which ultimately led to an incredible series of lion pride and lion cub sightings at Chacma. 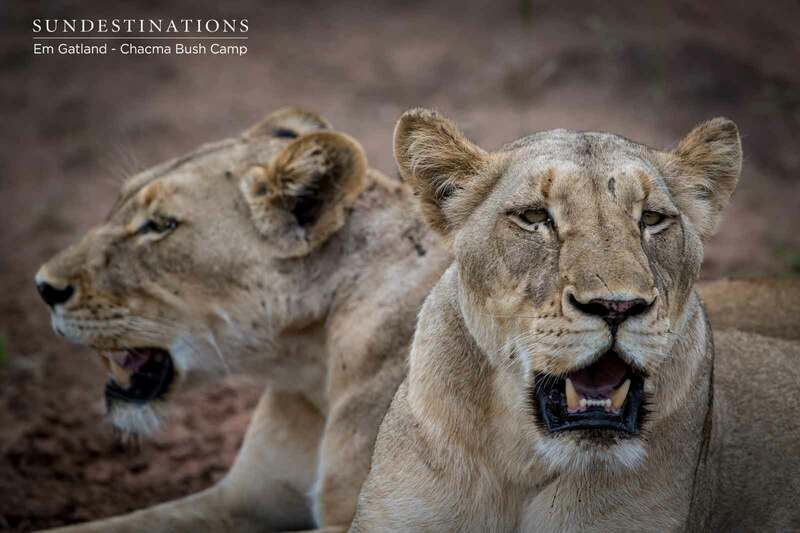 We’ve noticed that various individuals and mini-prides have begun to move closer and closer towards the confines of camp, seemingly huddling around the outskirts and cocooning us with their presence. 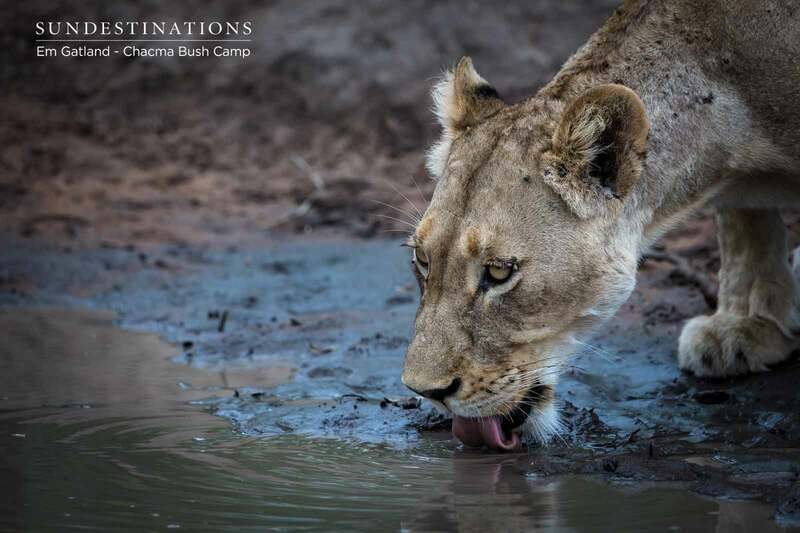 The waterhole in front of camp is a major drawcard for a variety of plains game, which means there’s an ample supply of carnivorous delights for predators and a reliable water source. 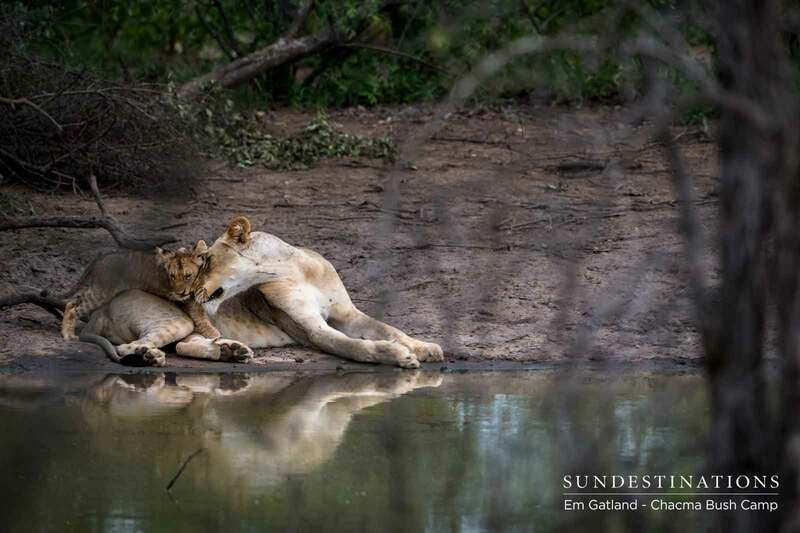 Clearly the prides have caught wind of this, and have realised that our waterhole and immediate surrounds is the best take-out joint in town! What is quite curious is the choice of meal that the pride took down (large waterbuck) on Sunday night. We’re not analysing their diet by any means, but the meat on a waterbuck is as tasty as a poorly made KFC burger. Let me explain. A long-held theory suggests that waterbuck secrete an oily substance (waterproofing) that makes their meat unpalatable to predators. Why have this when you are surrounded by gourmet meat? The answer is probably threefold. Waterbuck bulls are territorial, which means this local antelope was probably guaranteed to be hovering around the same area, a presence that could easily be predicted. Secondly, the Chacma waterbuck was a massive, handsome dominant bull fit to provide an ample supply of meat for a large pride of lions. 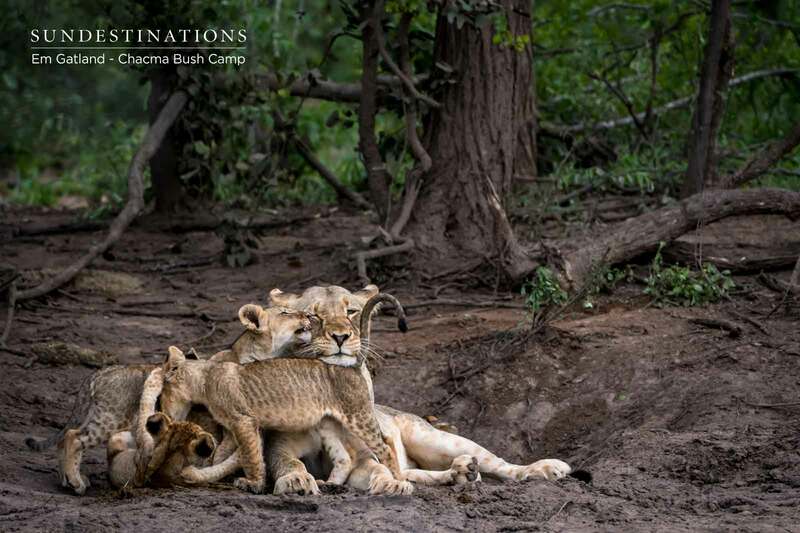 And lastly, lions can be opportunistic! 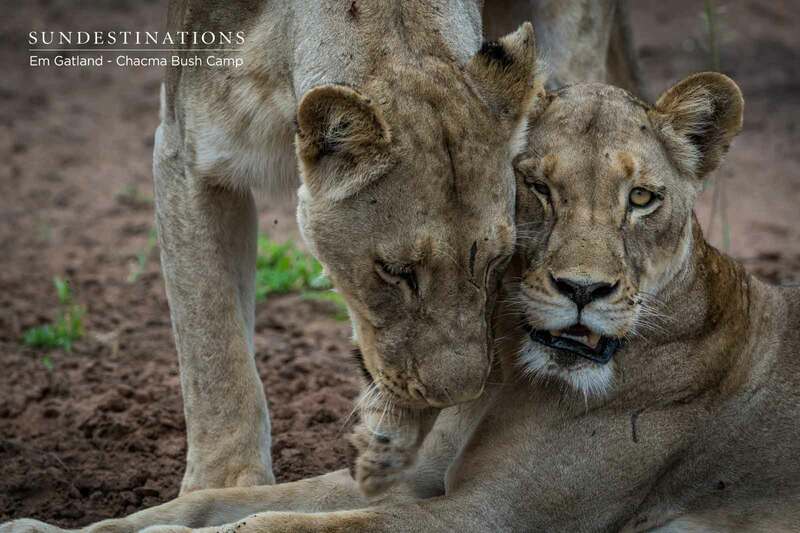 With so many lions, the take down of large prey would prove to be relatively easy. The lions formulated an attack in the dead of night, and our team heard the savage sounds that accompany a kill while they were at camp. 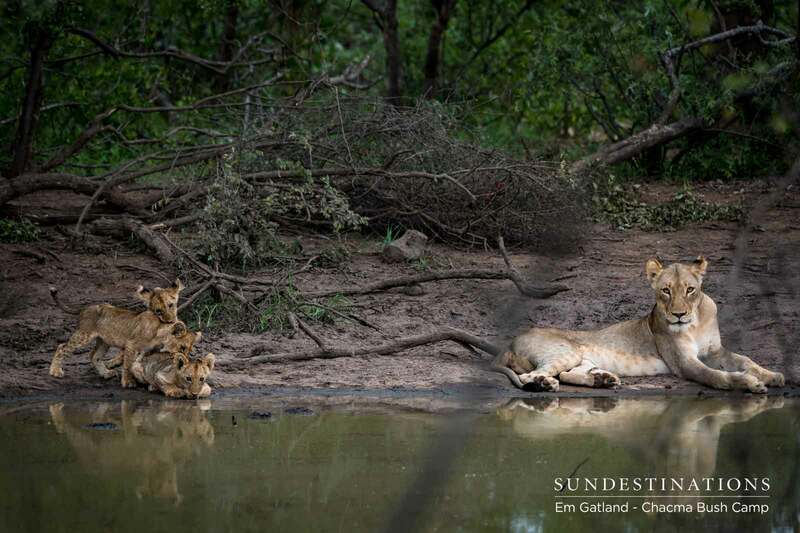 Em managed to get a few photos of the lions, but the carcass was shrouded in vegetation, so visual of the kill site wasn’t great. 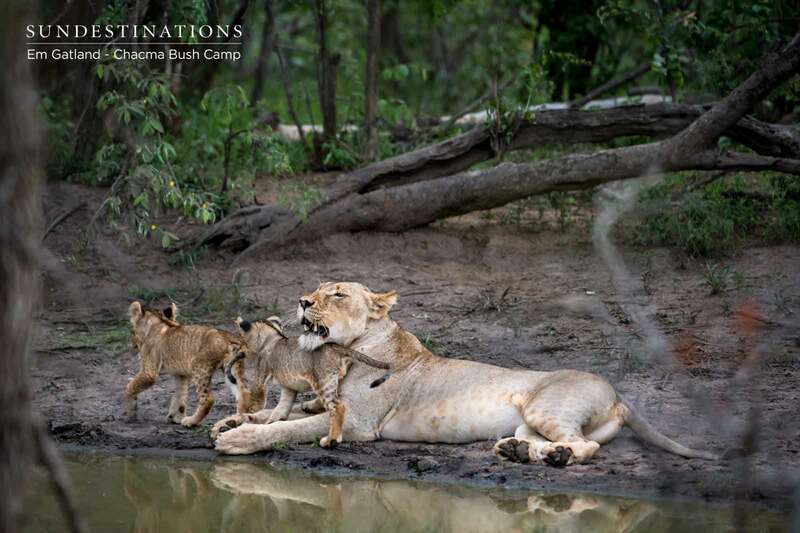 Lions tend to hang around the area of their kill for a few days. 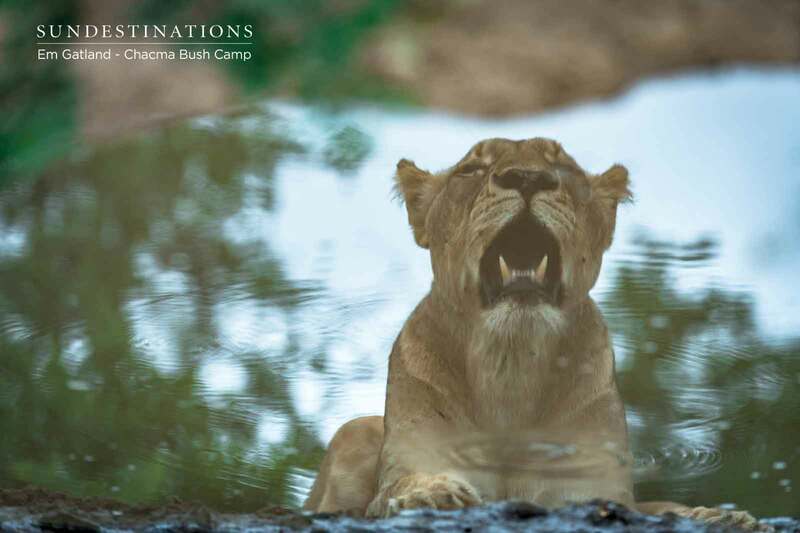 They spend plenty of time gorging themselves on their meal until they can’t move, which means it’s relatively easy for guides to locate the lazy lions flopping around. 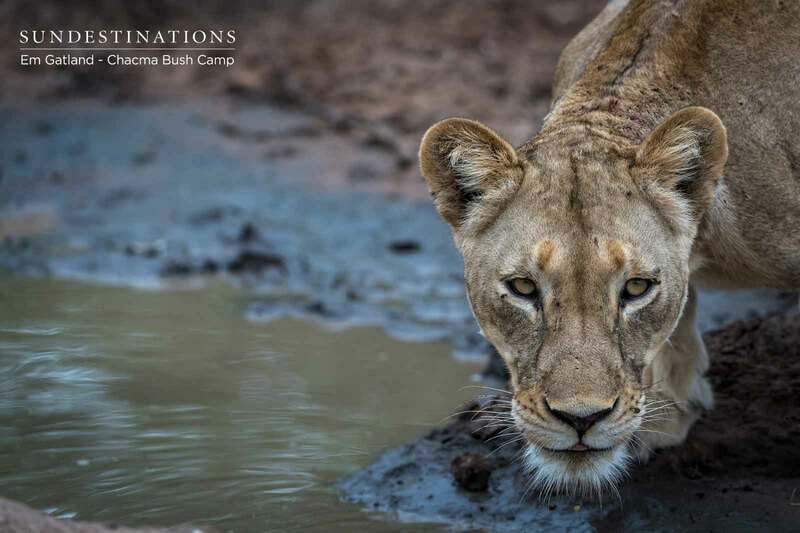 The morning after the kill one of the lions was spotted at the waterhole in front of camp. 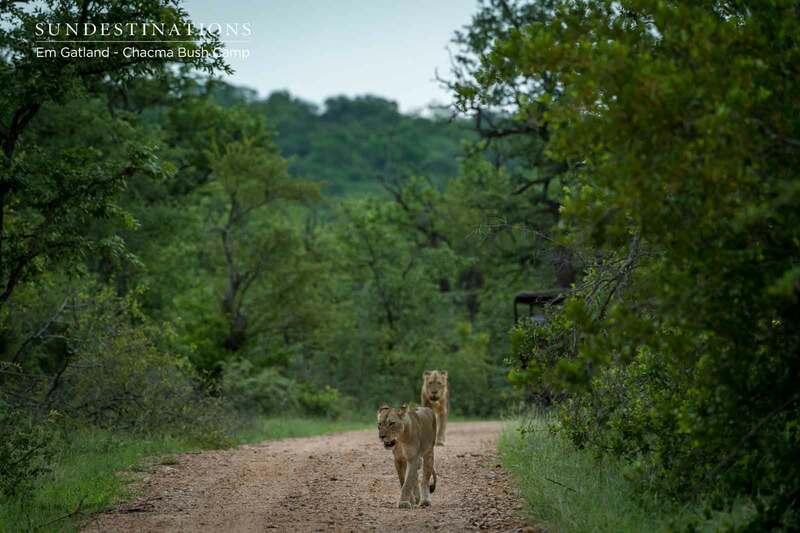 That night the lions were seen again, together with the cubs and an unidentified male lion. Tuesday delivered an absolute highlight of sightings! 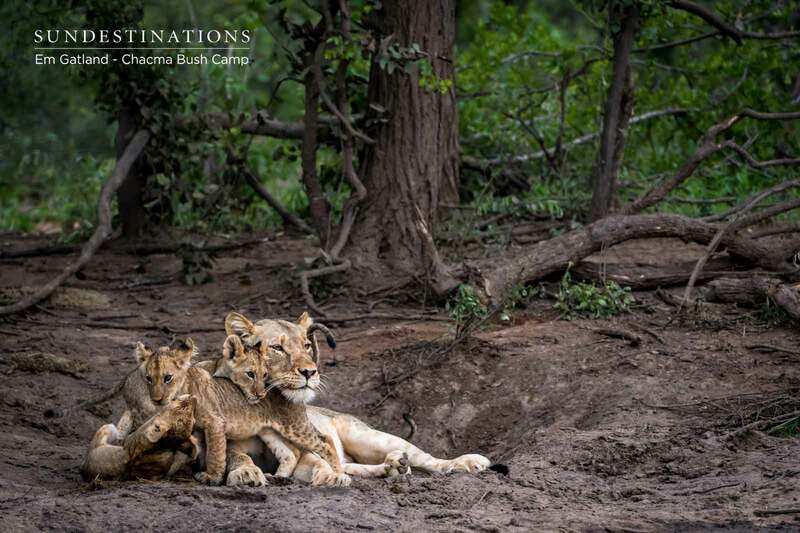 The cubs meandered down to the waterhole to drink, and guests were able to watch them from the comfort of camp, chilling on the pool deck with a coffee and snack. 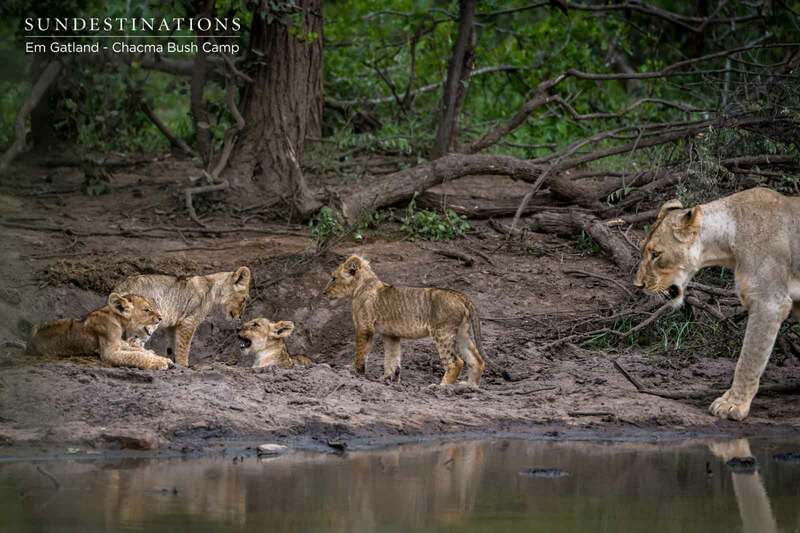 The cubs were somewhat skittish and neurotic as they gingerly approached the waterhole. This has definitely been a bucket list highlight for us. 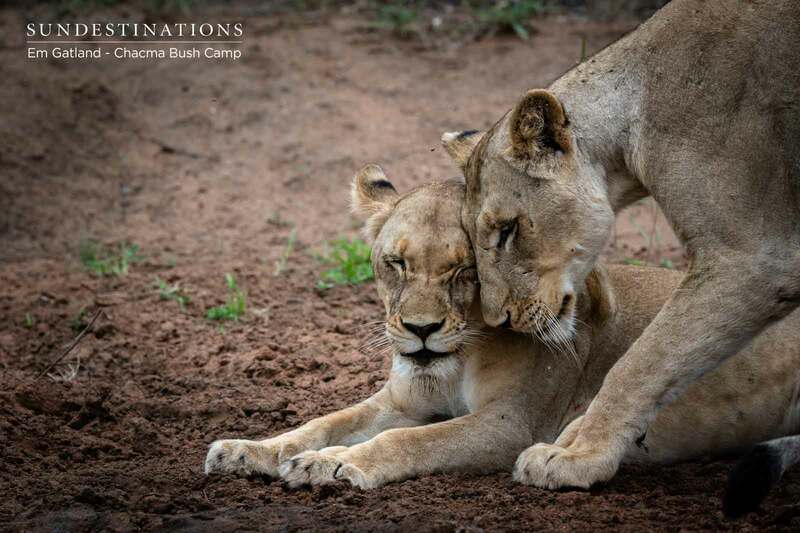 Lion cubs face a high mortality rate in the wild, so to see them healthy is one thing, but right at camp? Come on – that’s the stuff for campfire stories ! We’re sharing the images that were taken the morning after the kill. Visual just wasn’t 100% to photograph the waterbuck carcass.